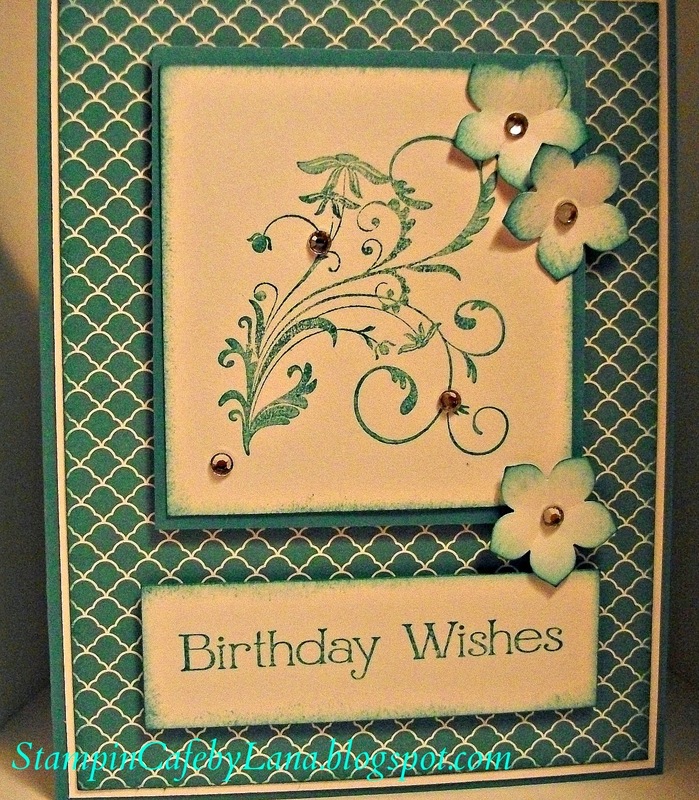 bi Birthday Card using Bermuda Bay Cardstock from Stampin' Up! 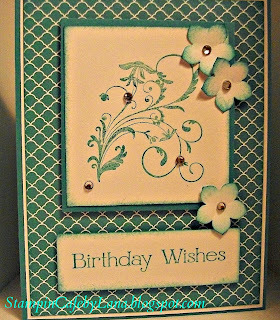 with coordinating Designer Series Paper, Four You Stamp Set, Petite Petals Punch inked with Bermuda Bay ink and highlighted with rhinestones. 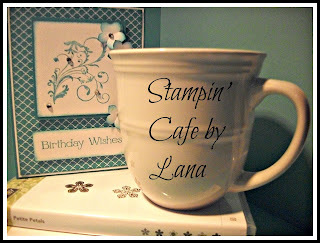 I named my blog Stampin' Cafe by Lana because there are a lot of mornings where I go to my craft space with my cup of coffee in hand and start creating something I've thought of overnight. 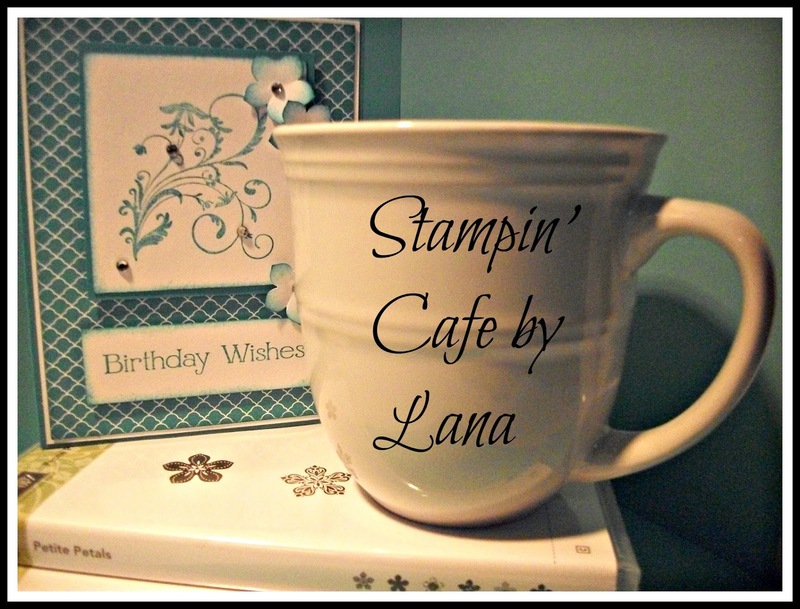 For me it's a great way to start the day! When is your most creative time?